All The Way is an exploration of friendship and aging. It traces the lives of eight people from an eventful summer in 1958 to the present as their interests and ambitions evolve, and they deal with shifting social norms. Their ties are frequently put to the test as they wrestle with clashes they never anticipated in their youth. At the professional level, these result from the involvement of one of the friends in the proposed construction of a major sports complex on the Toronto waterfront and in the city’s bid to host the 2008 Summer Olympics. At the same time, in their private lives, the characters must cope with conflicts and crises that result from their altered values and perceptions of one another, including open marriage, illicit love affairs, divorce, and attempted suicide. All The Way is an entertaining novel that uses both humorous and dramatic episodes to explore the foundations on which friendships are built and then alter over a lifetime. Order from your favourite bookstore, at http://www.borealispress.com, or a personally autographed copy directly from the author at: terdotcomm@sympatico.ca. Henry, a high school teacher and hockey coach, and Joanne, a figure skating instructor, appear to be an ordinary, happily married couple in a sleepy university town, noted for propriety not scandal. But are they? Joanne comes to suspect that Henry is having an affair, maybe more than one, and this is corroborated by their neighbours and friends, Max and Carol. With Max’s help, Joanne hatches a plan to catch Henry in the act of making love to another woman, and in their own bedroom. What she discovers, however, is something very different and it risks destroying their marriage, for there is a surprising, hidden aspect to Henry that seems at total odds with the person she has always known. But with helpful advice from her open-minded friend, Carol, Joanne slowly comes to accept the new Henry, although, in the end, she is unable to save him from embarrassment and public exposure to ridicule. Interwoven with this story is a satirical plot about academe and a maverick university professor facing dismissal for bizarre classroom behaviour and sexual misconduct. 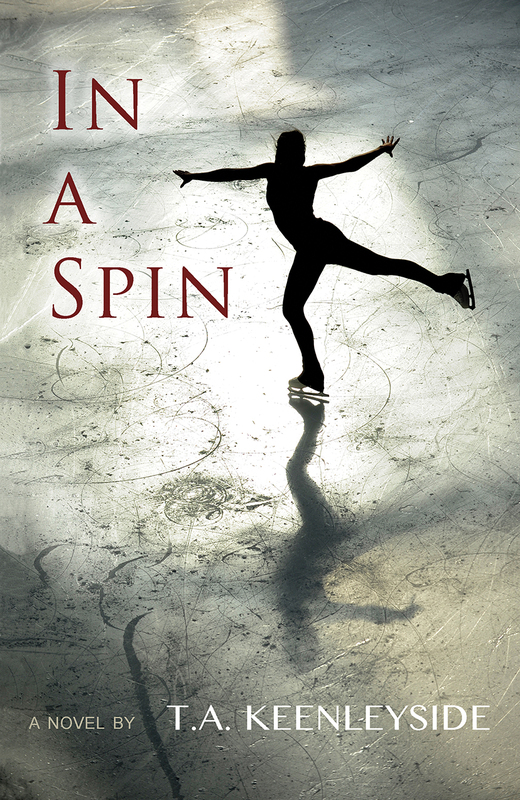 In A Spin is an intriguingly different and distinctively Canadian novel, rich in drama and comedy. Beneath the surface, however, it is also a serious study of the limits of tolerance and the difficulty of knowing people fully. Do we have as many meals around the dining room table as we used to–together as families and friends, enjoying good company and conversation as well as good food? Most observers of contemporary culture tell us “no,” yet research shows that table talk is important to childhood development and a social and psychological anchor for all who join in the experience. 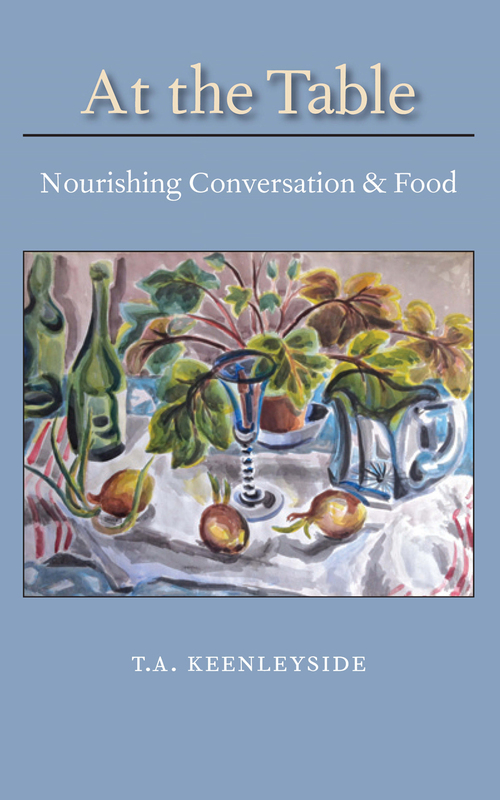 This book is a celebration of families and friends, eating and talking around the table, and subtly reveals at the same time the benefits of doing so. From a comical brush with the KGB to the capers of an eccentric climber in the Himalayas, it is a collection of unusual, entertaining and informative tales shared at tables in many locales. It also includes recipes that are relatively simple to prepare, usually healthy, and always tasty. When you finish this book, you’ll want to get out your neglected bottle of lemon oil, give your thirsty old table a rub, and then call everyone to dinner. Roaming The Big is a celebration of Canada from coast to coast to coast. 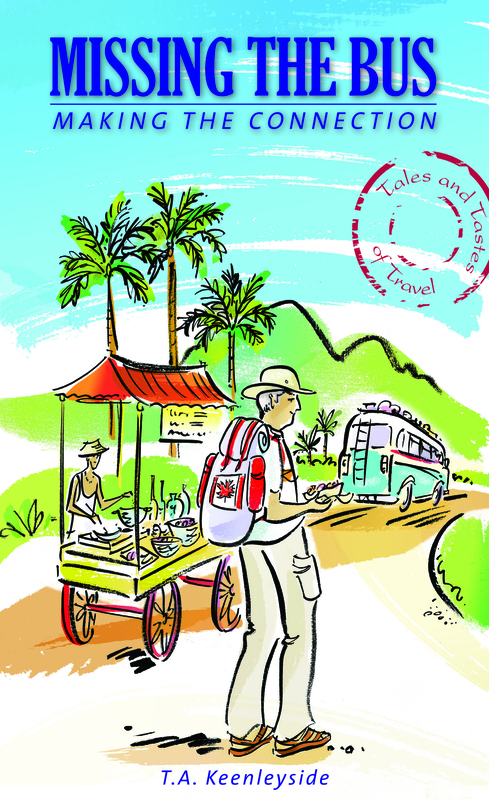 In this entertaining and thoughtful collection of stories inspired by journeys to every province and territory, T.A. Keenleyside wrestles with the enduring issue of Canada’s national identity, and in the process captures in a personal way the extraordinarily diverse and beguiling character of the country. These are touching, amusing and insightful tales that evoke Canada’s past and present cultures as well as its promising yet uncertain future. For added enjoyment, each chapter concludes with an original Canadian recipe. 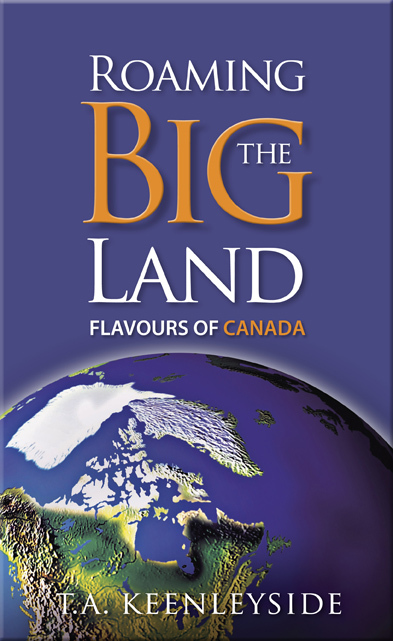 From panning for gold in the Yukon to floating on an iceberg in Nunavut, from “Portage Pasta” canoe-tripping in Ontario to “Jiggs’ Dinner” in an isolated outport in Newfoundland, Roaming the Big Land exposes the reader to distant corners and distinct cuisines of Canada, and whets the appetite to know the country better. Odysseus knew the value of taking the long way home, and you should, too. In Missing the Bus, Making the Connection, T.A. 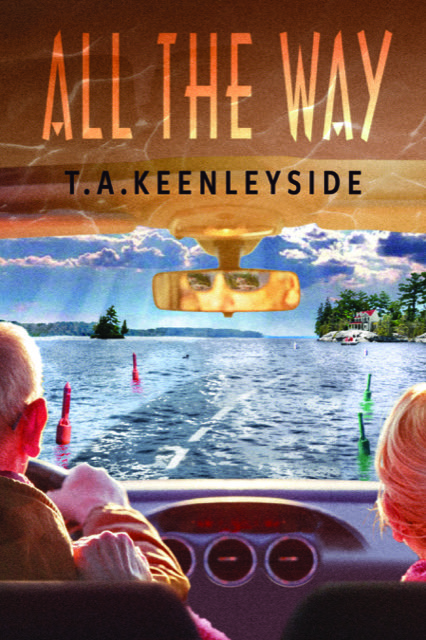 Keenleyside eschews the rose-coloured reminiscences of the tourist for the insights of the seasoned traveller, an elusive category of person in an age when cheap flights, all-inclusive vacations, and a Starbucks on every corner make it easy to leave home without really leaving at all. Part travel memoir, part cookbook, Missing the Bus, Making the Connection is a collection of timeless stories full of humour and adventure that capture the elusive joy of travelling–of making special connections, the ultimate reward for those who sojourn abroad with open minds and adventurous spirits, placing themselves in situations where unexpected things may happen. The focus is on the mystique of travel, the appeal of off-beat, esoteric experiences that often lurk in the most unexpected places. To ingest the food of another land is to taste its people and its culture. Not surprisingly, therefore, the pleasure of eating is an integral part of the stories in this collection, a condiment flavouring almost every piece. As well, many conclude with recipes. The emphasis is on dishes suitable for families that are relatively easy to prepare, usually healthy, and always tasty. Bon voyage et bon appetit! The Ugly Canadian? Is there such a thing? 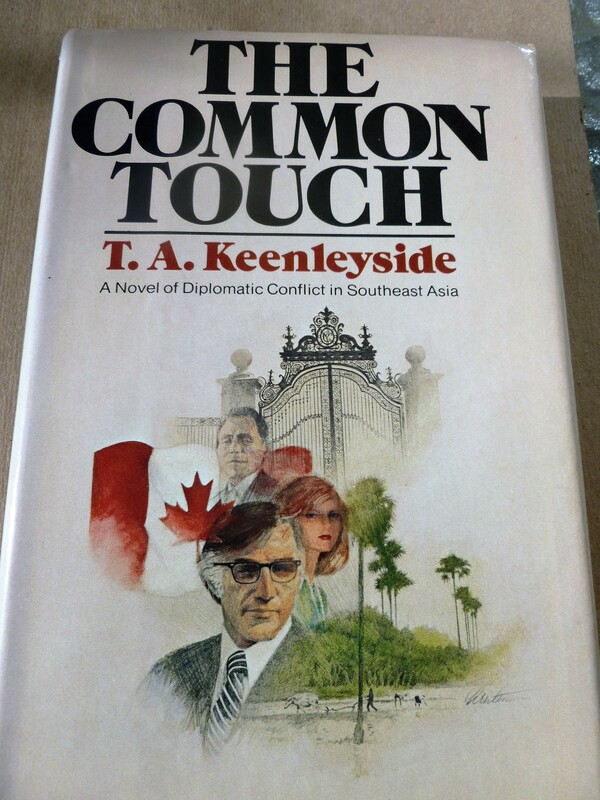 Set in a fictitious Southeast Asian country during the era of the Vietnam war, The Common Touch rekindles memories of The Ugly American as a middle-ranking Canadian diplomat grows disillusioned with his country’s foreign policy in an impoverished developing country called Bukara that is seething with dissatisfaction and is ripe for revolutionary change. To Jim Rutherford Canada seems focussed only on the prospects for promoting its own short-term interests, especially its exports and investment opportunities. Its diplomacy and foreign aid are directed to those ends and Rutherford is unable to convince his government to support the modest community development projects of a Bukarese aid worker he has come to know and respect and who is trying to meet the basic economic and social needs of the country’s people. Rutherford’s egotistical ambassador, on the other hand, shows little interest in addressing either Canada’s or Bukara’s concerns. Brimming with self-importance, he is focussed only on enhancing his own image and personal well-being. Much to Canada’s concern, Bukara’s existing pro-Western regime is crumbling and the state is on the verge of major change. At the same time, Rutherford’s marriage is falling apart as his wife turns to an affair to find happiness in the face of her preoccupied husband’s obsession with Bukara’s future. This is a novel full of excitement, tension, and political conflict. It remains as relevant today as when it was written, for it addresses issues still unresolved in the relations of Western countries with the developing world. Now only $10 purchased from the author: terdotcomm@sympatico.ca, or use the box below to order a copy, providing your mailing address and indicating what message you would like inscribed in the book.